Police have released CCTV images of a man who was found beaten to death at his home in south east London. Philip Silvester, 62, suffered fatal chest and head injuries during an attack at his home in Kellaway Road, Blackheath, south east London. Detectives hoped the image may jog the memory of anyone who heard a disturbance at his home on 1 December. 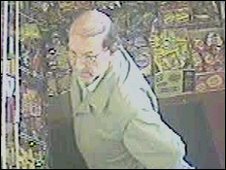 The images captured the victim a short time before his death at his local convenience store in Whetstone Road. Police discovered Mr Silvester's body on 13 December after concerned relatives raised the alarm when he had not been seen for a fortnight. A post-mortem examination at Greenwich mortuary found he died from serious head and chest injuries.